It’s summertime, and I love camp fires! Roasting hot dogs is fun, but make sure to buy nitrate-free, organic hot dogs. Here is a really fun way to roast a hot dog, and you don’t need the bun! The perfect backyard campout wouldn’t be complete without a campfire and some hot dogs. 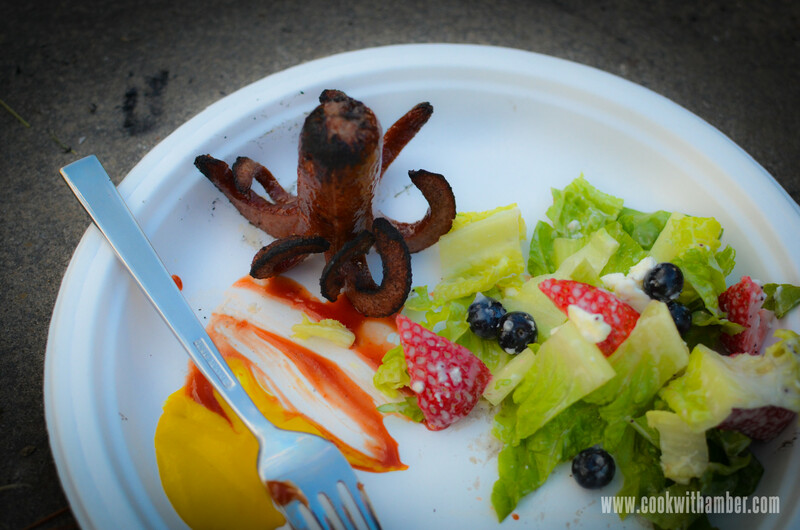 But don’t settle for regular ol’ hot dogs; skip the bun and watch this golden, crispy, smoky octopus come to life in front of your eyes! Make sure to buy nitrate-free, organic hot dogs, and you’ve upgraded the plain hot dog to a party-worthy dish. 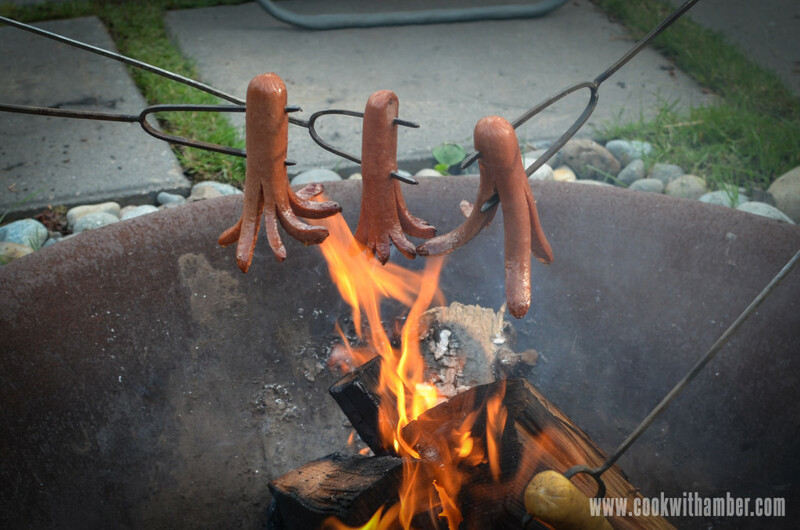 Poke a store-bought hot dog roasting stick horizontally through the “head” of the octopus so the octopus is standing upright when placed over the campfire. Keep the octopus upright. The legs will start to curl upward away from the flames as they cook. 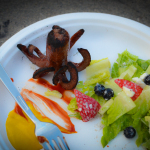 Once the legs are cooked enough that they are fairly firm and not flimsy, you can turn the octopus upside down to cook its head. Carefully remove your octopus from the hot dog stick, and serve with your favorite condiments. You are welcome, Erica! 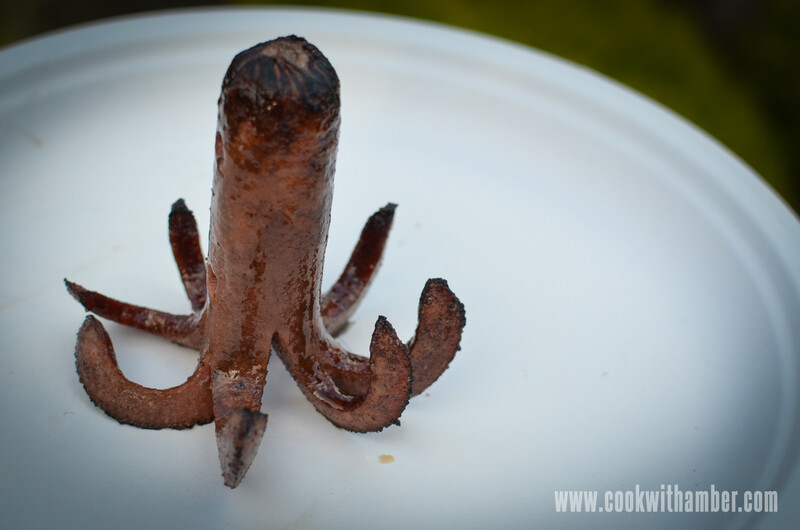 Have fun roasting Hot Dog Octopuses! Hi Kristian, I guess my mom and I get inspiration from all over! We sometimes change things up ourselves to make things healthier too. Thanks for watching!